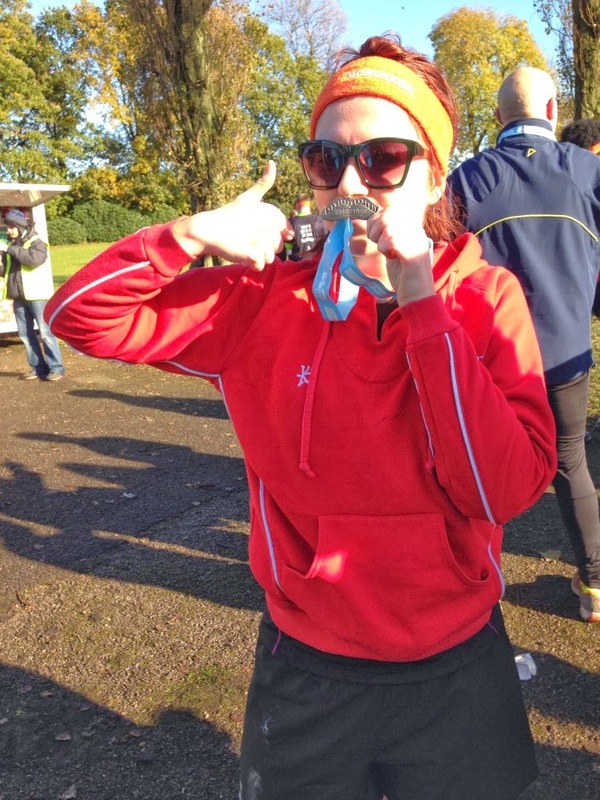 This crazy cat is running a half marathon in March and I'm writing a little series on everything I'm learning along the way. My intro and training plan post is here. Not strictly a half marathon post, but running-related- today I ran my second 10K. And flippin' heck it was hard! You might remember my first 10K in September, which was my first proper race and my first run over 4.5 miles. Since then I've been working on my half marathon training and extending my long runs, and I'm now running over 6 miles a week (my longest so far is just over 7 miles). As a result, I felt fairly confident with this race, despite hearing that it was a particularly hilly course and that it was a loop. Urgh, loops. But then on Friday, I started to panic. I've not been running as much as usual lately, with trips away and spending time with my boyfriend and a couple of times, just laziness. I hadn't done a long run in nearly two weeks, I'd missed park run two weeks in a row and I had only run three times in total in 2 weeks. Eeek. The run was tough. Very tough. It felt like it was perpetually uphill, unlike Bramhall park run where it's step but short hills. I never feel like I had a chance to catch my breath. Plus the killer hill was right at the start, which meant I had to tackle it straight away after my first loop. I thought it was going to kill me. But I kept on running. I completed the course in 1 hour 16 minutes, 6 minutes longer than my last 10K. But given the difficulty of the course and the cold, I know I did a good job. It's been really hard not to beat myself up about my time today compared to my first 10K but I know it was a much more difficult course. I know that I struggled and I couldn't expect to beat my previous time, but it hard to accept! Stockport was much more flat and I much prefer running on the pavement, but I realised after my first loop that I wasn't going to beat my time. But I finished, and I never stopped running, so that's all that mattered. My parents, cousin and boyfriend came to support me today and it was so awesome to see them at the halfway point and hear them cheering me on! I definitely had a spring in my step after seeing them! I dithered over whether to wear leggings or shorts today, and ended up going for shorts and a tshirt. I also wore my gloves and a headband, which kept me warm. I'm so, so glad I didn't wear leggings because I warmed up so quickly! My biggest hinderance today was being hungry. Around the last mile I was suddenly starving and regretted not eating more than a piece of toast and peanut butter this morning! With there being almost two hours between eating breakfast and leaving the house I needed something else to keep me going. 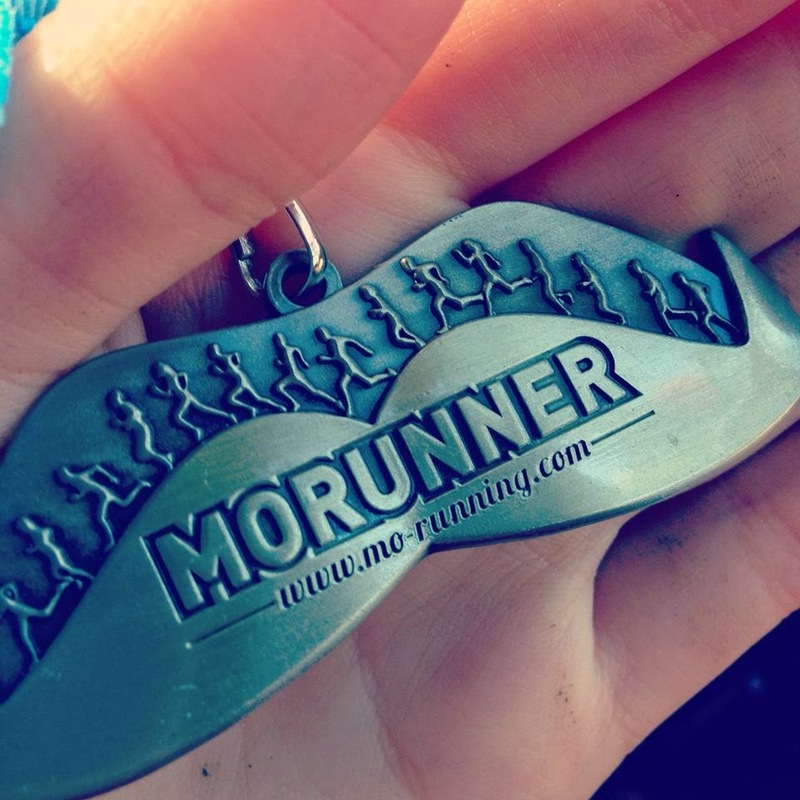 My race was for Movember, so we were encouraged to wear moustaches! I drew one on with eyeliner this morning. I looked absolutely ridiculous with no makeup and a moustache, but it was great fun. And it lasted my whole race! This is a bit of a minor one, but I have 200+ songs on my running playlist and some are more inspiring than others. I could really have done with a song from the Hairspray soundtrack to get me through my last loop! Next time I am definitely not risking it and making a specific race playlist. Because I run slowly, I tend to find myself at the back with the people who are part walking, part running and it's so hard to resist the urge to walk. Especially when I hit those hills! But I kept going. In fairness, I probably could have been much faster if I'd walked some of the race and run faster, but as a beginner still, it's important for me to keep running the whole way. And I did! Because it was so much colder today than my last 10K, I arrived with sweatpants and a hoodie over my running gear and gave them to my parents to give to me at the end. I also brought a bottle of lucozade- although we got a drink and a sandwich afterwards the queues were huge so I'm glad I had my own! After my race we went for lunch and did the food shopping (I wiped my moustache off at my cousin's house!) and then I made sure I relaxed once I got home. Long runs in general take it out of me, and racing even more so, so I don't think I could have managed anything else today! I was also coerced into a bath, which I normally hate, but it was good for my muscle and mud-splattered legs! I'm not going to run now until Tuesday or Wednesday and give my body some time to recuperate. I've got an 8 mile run planned on Sunday and I'm going to get back into doing Park run, which if I wake up on Tuesday and I'm not feeling it, I'll give myself a break. My body did a great job today and if it needs a rest, it can have one! This is so awesome! You've really become quite the runner! You inspire me. Maybe one day I'll start running more than 1 mile at a time haha. Well done you, very proud of you! Great job! This looks like it would have been a fun race! I did 4.25 miles on Saturday and shaved over 2 minutes off my time! Slowly, but surely increasing my distance. 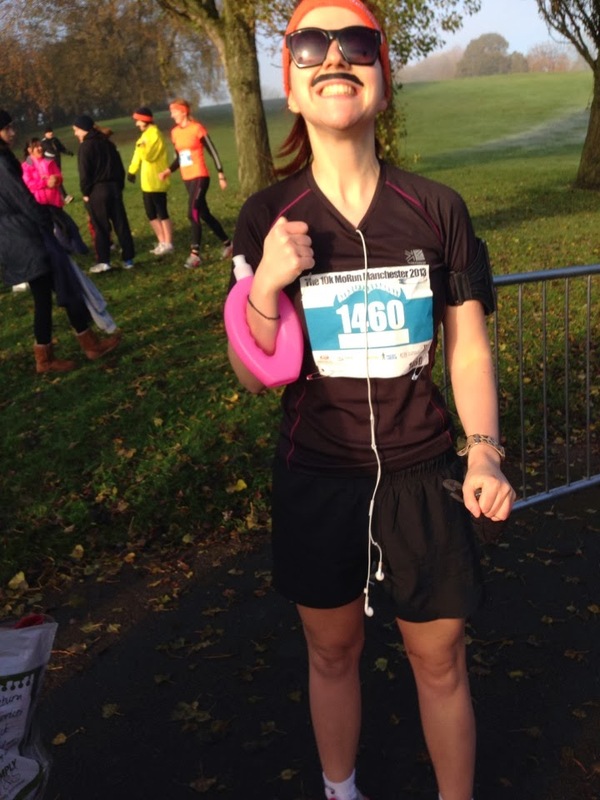 Well done for completing your second 10K! Your blog is great and this post really inspired me, so I looked for a mo run near me and just completed my first 10K today :) So thank you!